The disease is most common in young children below 10. Health officials say it is caused due to poor hygiene and sanitation. The disease was first detected in one of the private schools in Thimphu this month and some 18 cases are reported until now. 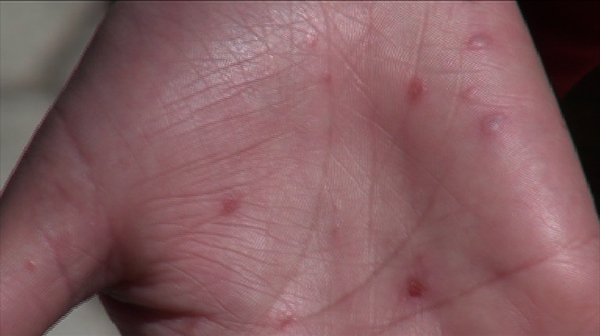 The symptoms include fever, headache, cough, and blisters on the hands, feet and mouth. And it is contagious but it will last for about a week. According to the department of public health, the outbreak is reported only in Thimphu. The Health Officer added that in the event of feverish, headache, sneezing and cough, people should visit the nearest health center for symptomatic treatment and also for control measure. He also added there are high chances of getting brain disease called meningitis if not taken care. Doctors say the disease can be prevented from spreading through isolation, washing hands and using mouth masks. The infection is not related to foot and mouth disease, which affects, cattle, sheep and pigs. The health ministry has also asked schools to monitor the disease every morning. It is considered an emerging infectious disease in the Asia-Pacific region as outbreaks were reported from 1997 in many countries including Australia, China and Thailand. Do elder children of 15 years and above have the chances of getting it?? ?